← Why educational reform is like Jenga. I would have preferred Coding/Scripting instead of Java Script. Although Java Script is widely used, there are powerful programming languages for the web such as: Python, Perl (ok, this one is not used so much but still solves lots of tricky issues sometimes 😀 ), Rails + adding the important server side such as Bash. Another thing I’ve been thinking at is “wiki”. Wikimedia solutions starts to be widely used in several communities, companies and organisations. Deployments of mediawiki and semantic media wiki are requested more and more. 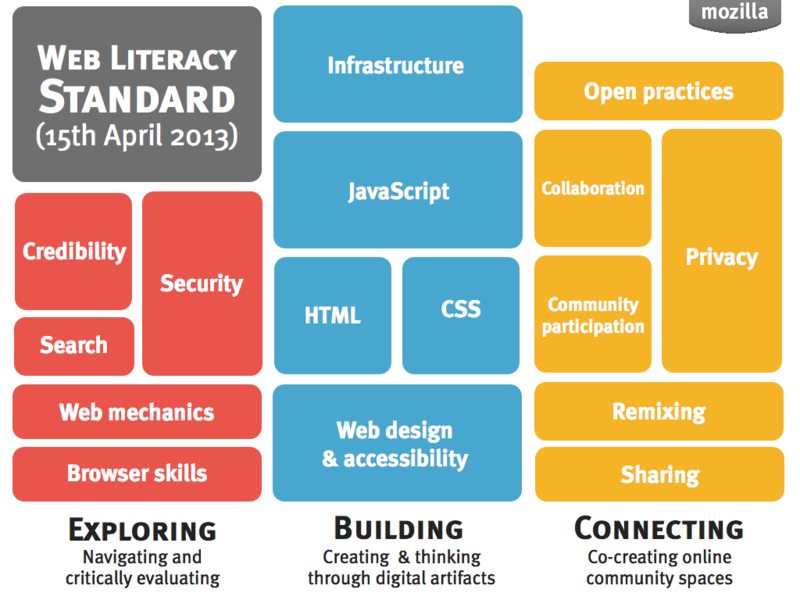 Even if it is for advanced Web Developers I was wondering how this would fit into the Web Literacies Standard. Even editing Wikipedia or an internal Wiki can be considered a basic competency.